Isoprenoid and aromatic cytokinins occur in poplar as free compounds and constituents of tRNA, poplar isopentenyltransferases are involved in the production of isoprenoid cytokinins, while biosynthesis of their aromatic counterparts remains unsolved. Cytokinins are phytohormones with a fundamental role in the regulation of plant growth and development. They occur naturally either as isoprenoid or aromatic derivatives, but the latter are quite rare and less studied. Here, the spatial expression of all nine isopentenyl transferase genes of Populus × canadensis cv. Robusta (PcIPTs) as analyzed by RT-qPCR revealed a tissue preference and strong differences in expression levels for the different adenylate and tRNA PcIPTs. Together with their phylogeny, this result suggests a functional diversification for the different PcIPT proteins. Additionally, the majority of PcIPT genes were cloned and expressed in Arabidopsis thaliana under an inducible promoter. The cytokinin levels measured in the Arabidopsis-overexpressing lines as well as their phenotype indicate that the studied adenylate and tRNA PcIPT proteins are functional in vivo and thus will contribute to the cytokinin pool in poplar. We screened the cytokinin content in leaves of 12 Populus species by ultra-high performance-tandem mass spectrometry (UHPLC-MS/MS) and discovered that the capacity to produce not only isoprenoid, but also aromatic cytokinins is widespread amongst the Populus accessions studied. 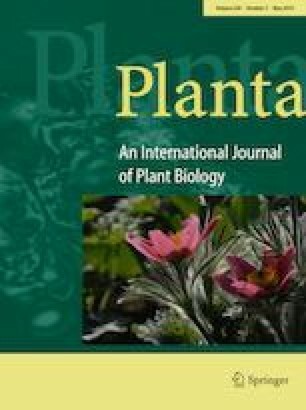 Important for future studies is that the levels of aromatic cytokinins transiently increase after daybreak and are much higher in older plants. Pavel Jaworek and David Kopečný contributed equally. The online version of this article ( https://doi.org/10.1007/s00425-019-03152-z) contains supplementary material, which is available to authorized users. We thank Dr. Danny Vereecke for valuable comments and editing of the manuscript. We thank Věra Dosedělová for excellent technical assistance. The pMDC7 vector was kindly provided by Dr. Chua (The Rockefeller University, New York, NY, USA). The seeds of atipt2 9 double knockout mutant were kindly provided by Prof. T. Kakimoto (Osaka University, Osaka, Japan). Poplar accession of young suckers and calli of Populus × canadensis were obtained from Forestry and Game Management Research Institute (Kunovice and Jíloviště, CZ). Populus deltoides sequence data were produced by the US Department of Energy Joint Genome Institute https://www.jgi.doe.gov/ in collaboration with the user community. This work was supported by Grant 15-16888S, Czech Science Foundation, Czech Republic and by Project RO0418 (Sustainable systems and technologies, improving crop production for higher quality of production of food, feed, and raw materials, under conditions of changing climate) funded by Ministry of Agriculture, Czech Republic.